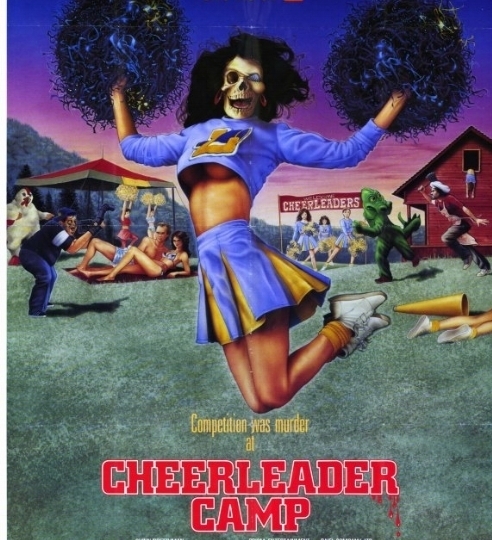 A Spotify playlist meant to be played over the 1988 film Cheerleader Camp as an alternative soundtrack. Make sure to turn the sound off on the film and start both the playlist and the film as simultaneously as possible. No pausing. No shuffling. watch Cheerleader Camp here. Get the concept album here. Back in 2010 Nick started a small blog called The Church of Cinematic Oblivion. Nick & Harry's first foray into oblivion-style cinema consumption kicked off with the world of clown horror. Further articles tackled Sion Sono, Gaspar Noe, and Satoshi Kon before the blog moved over to a new URL where we dealt with Are You Afraid of the Dark and The Hunger Games. Both of the blogs have been dormant for a long while since we've moved over to podcasting, but all the old articles are still up.